Like I mentioned in my previous post, each year my family does an ornament exchange. The ornaments don't have to be handmade but I think it is fun to make as many of them as I can. 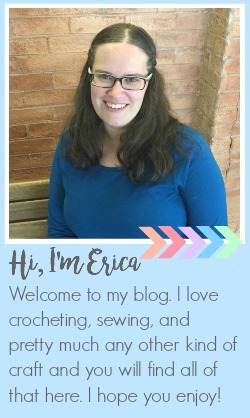 I made the crocheted owl ornaments for all of the girls that we had but I wanted to come up with some fun stuff for the boys too. 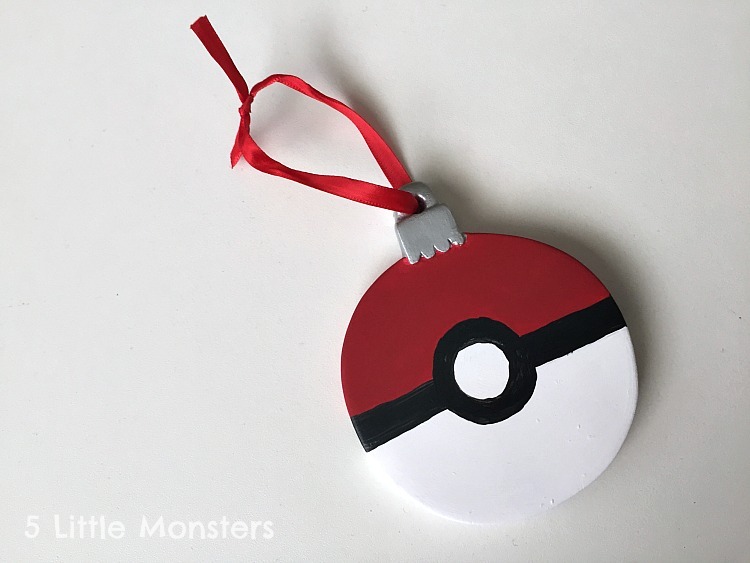 One of my nephews is really into Pokemon so I came up with a really easy ornament for him and I thought I would share the idea here. When I think of Pokemon and something easy I immediately think of a Pokeball. It is pretty simple to turn anything round into a Pokeball. When I was picking stuff up to make the other ornaments I had to run in to Michaels for a few things and while I was there I went and looked at there unfinished ornaments and found a flat round plaster ornament. It was pretty inexpensive to begin with and it was on sale too. I had paints at home so it only ended up costing a few cents to make a fun little ornament for him. 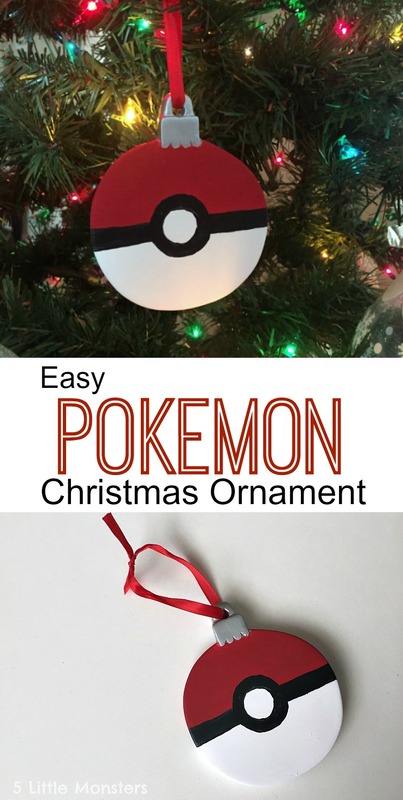 I can't find the ornaments to link to online, I think they might only be available in stores, but any round ornament would work. They had similar things in wood or paper mache. 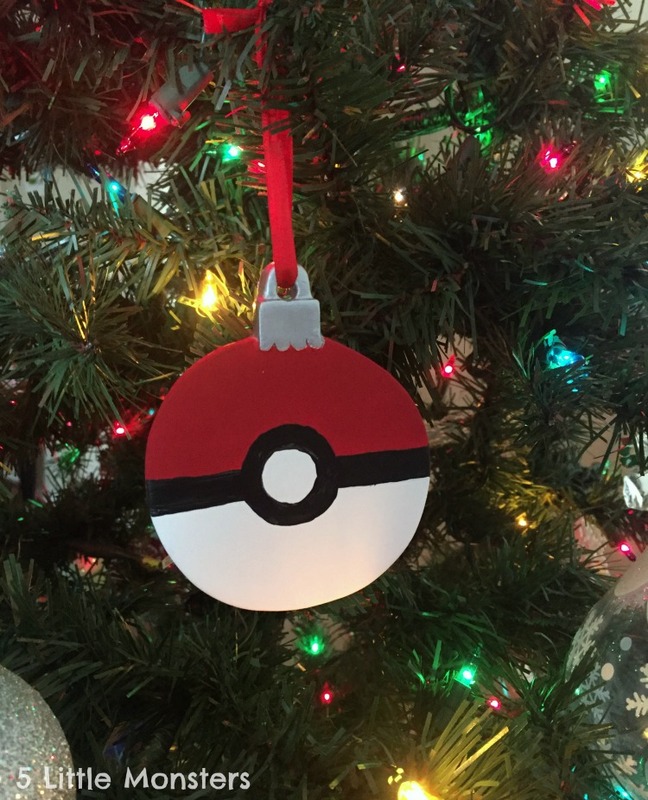 Or if you prefer they also have ball shaped ornaments for a more 3-D Pokeball. I chose to go with the flat circle. Just grab some acrylic craft paint in red, white, black, and silver (depending on the shape of your ornament) and you are ready to paint. I sketched the design on the ornament with pencil first, then painted it. Red on the top half, white on the bottom half, with a black stripe around the center and a black circle with a smaller white circle inside. 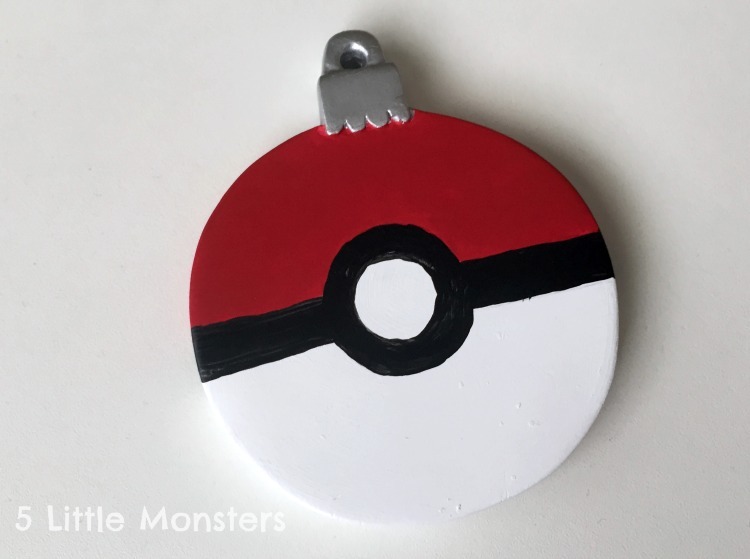 It was super easy to make and great for little Pokemon fans.